(Beirut) – Arab countries engaged in a dispute with Qatar have shut down media outlets with links to or considered sympathetic to the Qatari government, Human Rights Watch said today. The action is a violation of freedom of expression. The countries involved include Egypt, Jordan, Saudi Arabia, and the United Arab Emirates. The United Arab Emirates, Saudi Arabia, and Bahrain have also threatened criminal sanctions under existing laws against people who criticize the actions these governments have taken against Qatar and its citizens or who have expressed sympathy toward Qatar. On May 25, 2017, Saudi Arabia and the United Arab Emirates blocked Qatari media outlets, including Al Jazeera, after Qatar’s Emir, Sheikh Tamim bin Hamad al-Thani, was quoted in state media attacking United States foreign policy, praising Iran, and vowing to withdraw its diplomatic representation from several Middle Eastern countries, including Saudi Arabia. The Qatari government has since denied that al-Thani made the offending statements, alleging that their state media was hacked. Also on May 24, Egypt blocked the websites of 21 media outlets it accused of being favorable toward the Muslim Brotherhood, including Al Jazeera and at least four other Qatari government-linked outlets. The Association for Freedom of Thought and Expression, an independent Egyptian rights group, said the block had grown to 62 sites as of June 12. 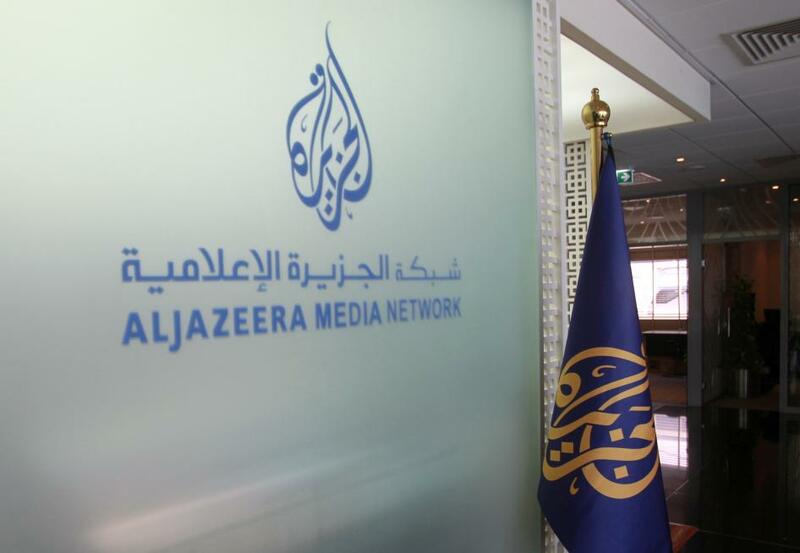 On June 7, Jordanian authorities closed Al Jazeera’s Amman bureau and stripped it of its operating license, stating that the decision was made to ensure regional stability, coordinate the policies of Arab countries, and “end the crises in our region.” The next day, Saudi authorities did the same to Al Jazeera’s Riyadh bureau, accusing it of promoting terrorist groups in Yemen and of sparking divisions in Saudi Arabia. On June 9, theSaudi Commission for Tourism and National Heritage ordered hotels and other tourist facilities to block “all channels from the Al Jazeera Media Network” and replace them with other channels, threatening to punish violators with a fine of up to US$26,000. In addition, on June 7 and 8, Bahrain, Saudi Arabia, and the United Arab Emirates announced that any speech critical of their governments’ measures against Qatar or sympathetic to Qatar would be prosecuted as crimes. Citing existing laws that violate free speech, on June 7, the United Arab Emirates’ general prosecutor announced that people who express “sympathy” for Qatar or objections to the UAE government’s own actions could face up to 15 years in jail. On the same day a state-controlled Saudi Arabian media outlet stated that such expression could be considered a cybercrime offense in the kingdom. On June 8, the Bahraini Interior Ministry also threatened anyone who shows “sympathy or favouritism” to the Qatari authorities either on or off line or critiques Bahrain’s actions, with up to five years in prison and a fine under the Penal Code. Authorities should repeal or amend laws that are used to criminalize peaceful expression. International law on freedom of speech prohibits the banning of peaceful criticism of governments, and crimes such as insulting the president or state authorities.